Mongolia will be sending nine-strong team to the upcoming ASBC Asian Confederation Boxing Championships in Bangkok, Thailand where their minimum target is to get four quotas to the Doha 2015 AIBA World Boxing Championships. Mongolia is among the top nations of the continent and their current strong team is hungry to continue the previous great results of the country. Mongoliaâ€™s new era started with Enkhbat Badar-Uuganâ€™s results who was gold medallist in the Beijing 2008 Olympic Games while Purevdorj Serdamba delivered a silver medal from the same Games. Furthermore Tugstsogt Nyambayar and Uranchimeg Munkherdene both were bronze medallist in the London 2012 Olympic Games but none of them will be there in Bangkok which show the strength of the Central Asian country. Dorjnyambuu Otgondalai secured their historical first gold medal in the boxing tournament of the Asian Games which was Mongolia’s first one in that multisport event. Summer Universiade bronze medallist 22-year-old Gankhuyag Ganerdene developed well in the recent one year and he could be a competitive rival for all of the top athletes in Incheon as well. Following the London 2012 Olympic Games he replaced his star teammate Purevdorj Serdamba in the national squad. He claimed silver medal in the last preparation event at the Chemistry Cup in Halle, Germany. Nurlan Askhar has got Kazakh relatives but he was born in Mongolia and has been fighting for the country in the international level since 2013. The 21-year-old Flyweight class (52 kg) boxer could be a secret weapon of Mongolia in the upcoming ASBC Asian Confederation Boxing Championships in Bangkok. Multiple international tournament winner experienced Iderkhuu Enkhjargal replaced London 2012 Olympic Games silver medallist Tugstsogt Nyambayar in the Bantamweight class (56 kg) and in spite of the fact he claimed only silver in the Mongolian National Championships he received the right to box in the upcoming qualification event. Mongoliaâ€™s Lightweight class (60 kg) No.1 Dorjnyambuu Otgondalai reached his career highlight in the 2011 ASBC Asian Confederation Boxing Championships in Incheon and returned to that venue last year where he defeated all of his rivals and wrote history. Otgondalai won various medals in all of his preparation events this year but suffered some losses as well. Battarsukh Chinzorig is their new Light Welterweight class (64 kg) boxer who proved his excellent skills at the World Military Championships in Almaty, Kazakhstan last year where the 24-year-old hope defeated Brazil’s AIBA World Champion Everton Lopes.Â Chinzorig is a strong boxer who has got great expectations in the upcoming continental event. AIBA Asian Olympic Qualifiers silver medallist and London 2012 Olympian Tuvshinbat Byamba began his boxing career in 1998 at the age of 11 and after seventeen years of experiences in our sport he has got realistic chance to get a medal in Bangkok. The Welterweight class (69 kg) boxer had to defeat strong local rivals to be there in the capital city of Thailand. Narmandakh Shinebayar involved to their national squad in 2006 and has got experiences also from the last edition of the Asian Games. The Summer Universiade bronze medallist Middleweight class (75 kg) athlete won almost all of his contests in 2014 while he tried to relax more in the current year to be enough shape in the Bangkok event. 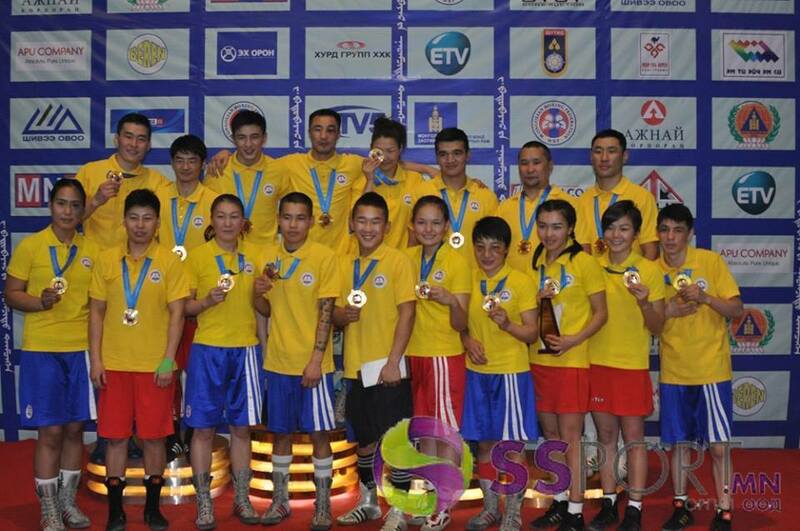 Mongolia has got experienced athletes in the highest weight classes where their boxers are over 30. Sandagsuren Erdenebayar competed in the 2002, in the 2010 and also in the 2014 Asian Games therefore he is more than experienced. Daivii Otgonbayar was quarter-finalist in the 2002 Asian Games in Busan and returned to the world of boxing last year to show his strength once again before his retirement.